..feeding the cat. I hope. Leki has been on a diet. And Leki really doesn't like being on a diet. Aside from chewing up the paint on the trim in the hallway, having "accidents" on the bathroom rug, and chewing a hole in the wall, Leki typically wakes us up around six in the morning by picking at the carpet. He's a smart cat - he's never shredded the carpet, or blanket, or anything else. He doesn't it just enough to wake you up and annoy you. And by that point you're awake. 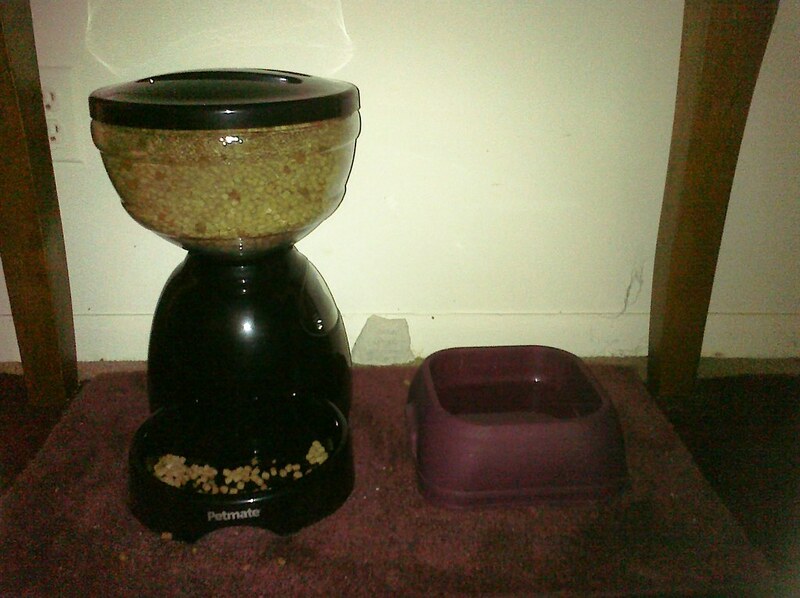 So enter the automatic cat feeder. It's not the best solution, I'm sure. 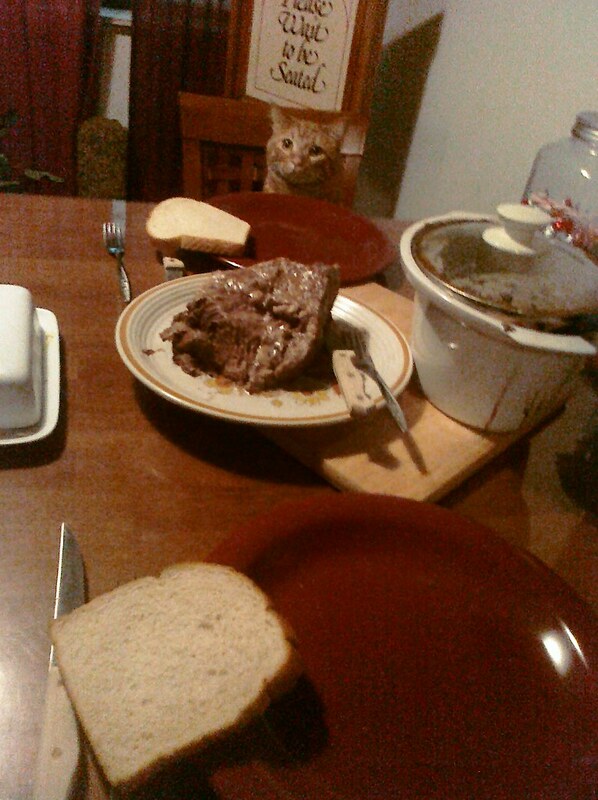 But we're both hoping that by removing the human element of feeding him he'll eventually learn not to expect it. Of course I'm a little nervous he's still going to demand attention just for attention's sake. Here's hoping that by next weekend we're able to sleep past six in the morning. 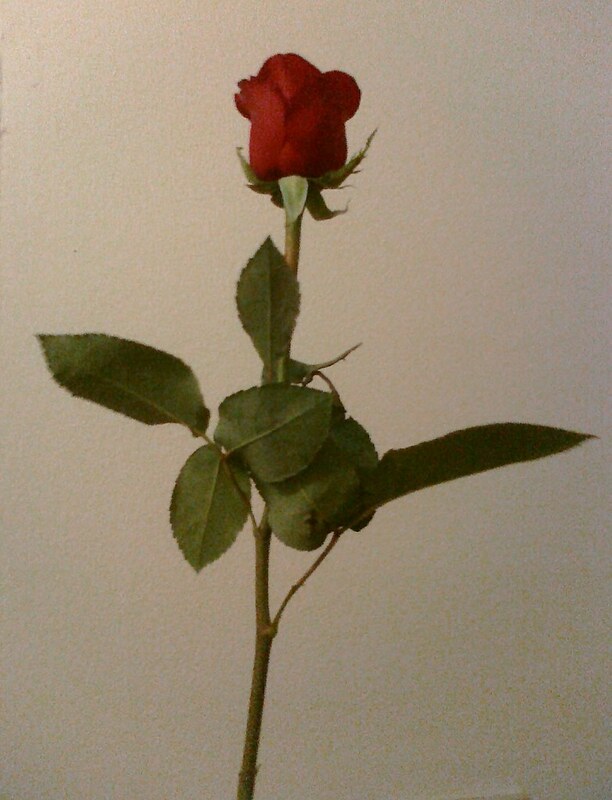 Today is the one year anniversary of my first date with Chris. If you don't know, Chris and I originally met on twitter. When I got laid off earlier that year I started using twitter more than I had in the past. 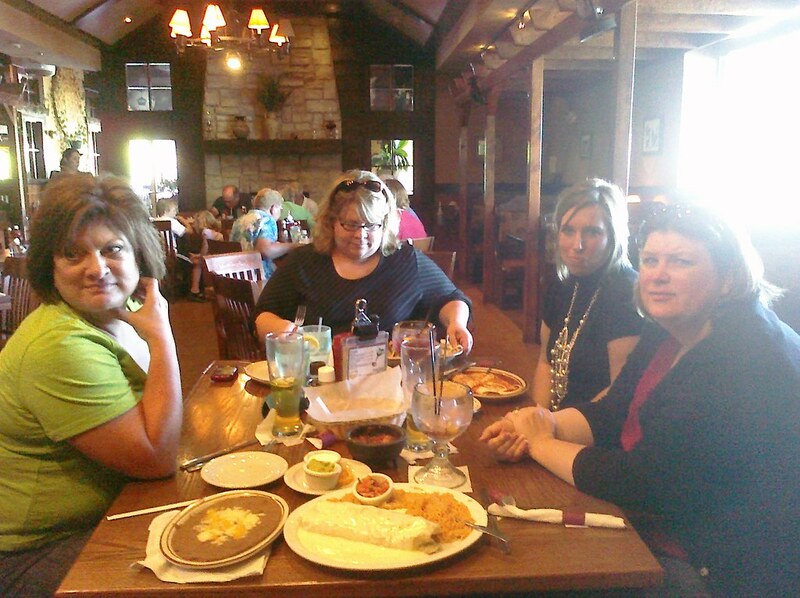 And the great thing about twitter is how much easier it is to find and make new friends than it is with facebook. So enter Chris. I must have tweeted something interesting at some point because he started following me. So I started following him back because really, that's how you make friends on twitter. Several months went by and we'd comment occasionally on something one or the other said, but I never gave it any more thought. Next thing you know I'm being asked out on a date. As you can see, a lot of things can happen in a year. I went from being unemployed and single to full-time (non-contract!) employment and sharing my life with someone special. This has been a really eye-opening year in a lot of ways. I've learned a lot, grown a lot, and had a great time. I'm looking forward to the next year with Chris, and the one after that, and the one after that. And I'm pretty sure he is too. The weather has been great most days (although a little humid) so I've been having lunch near the Grand Rapids Art Museum. 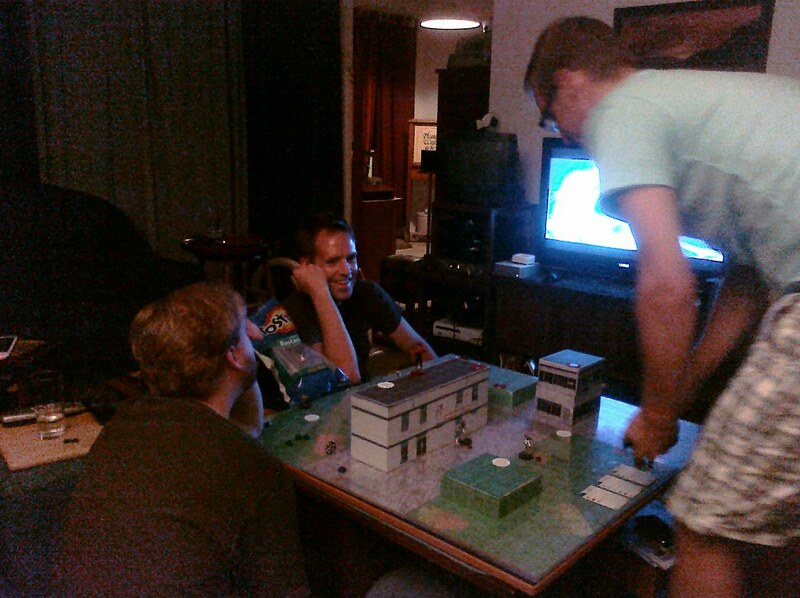 Here is a shot of the typical scene. 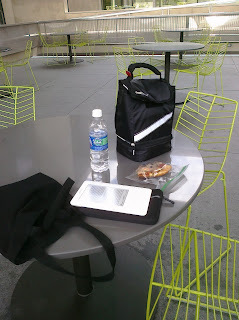 Lunch, bags, Kindle. 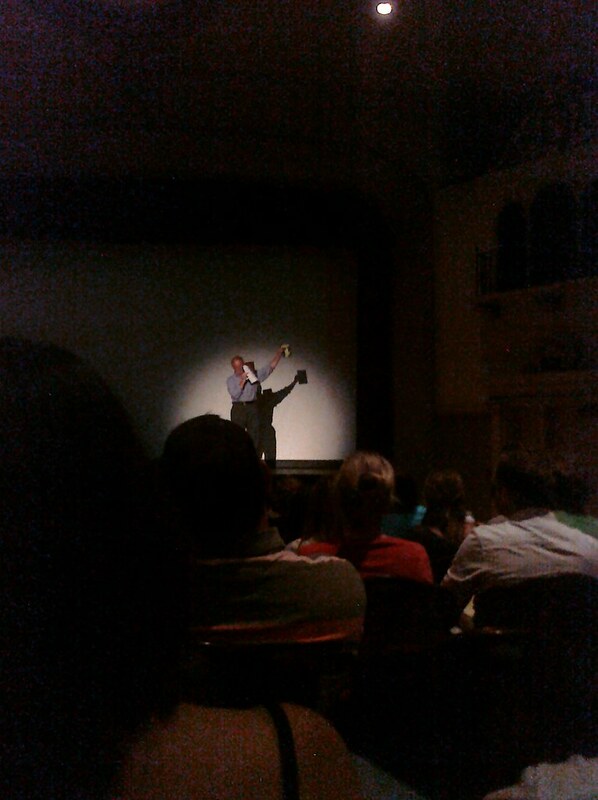 Yesterday was Tuesday and the Wealthy Theatre was playing a classic - The Princess Bride. Since the story holds a special place for both Daniel and Sherry we all decided to go out to see the movie together. 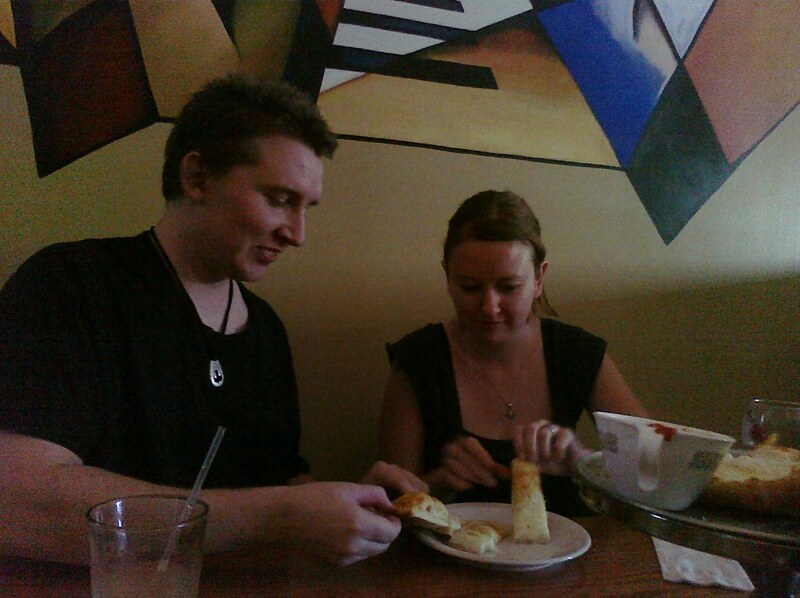 We had dinner at Brick Road Pizza, which is just down the street from Wealthy Theatre. It was a pretty full house tonight. 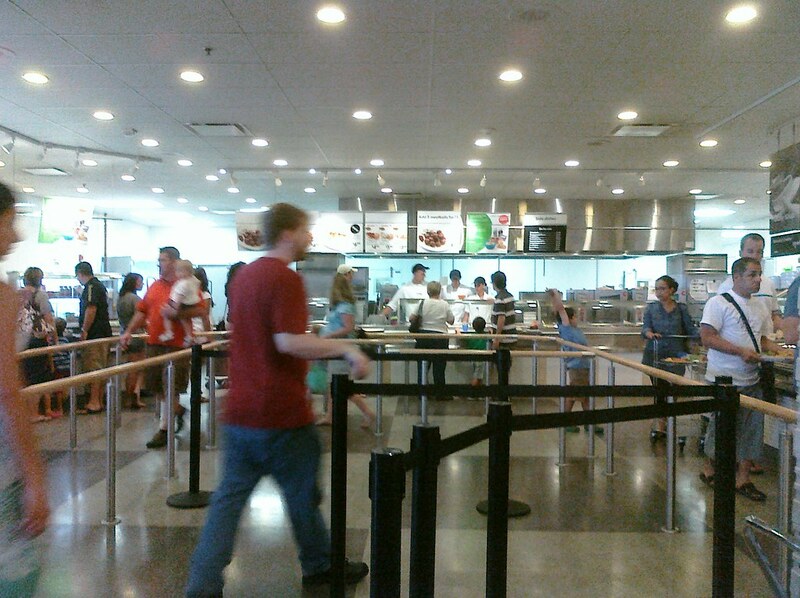 Nearly every seat was taken and the line to buy tickets was longer than usual. There was even a small presentation by a representative of the Grand Rapids Public Library who had some trivia and information regarding the movie and the public library. 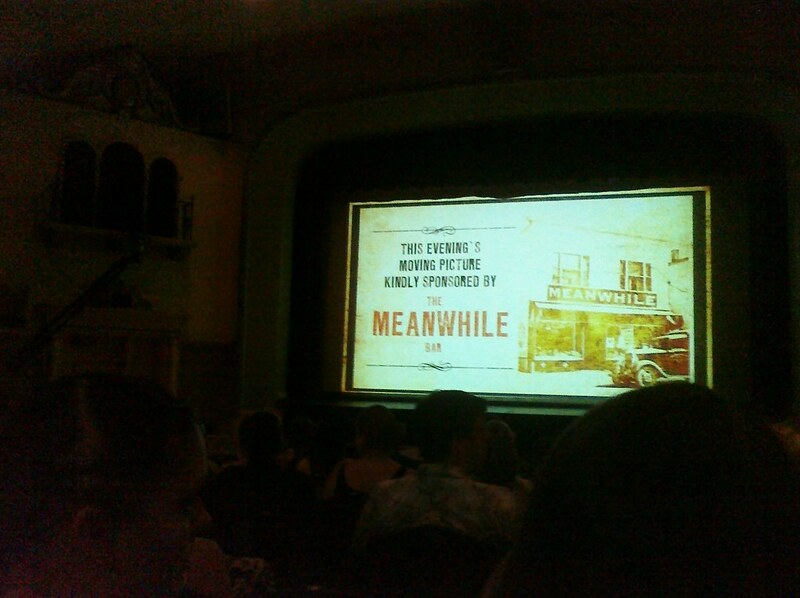 It's the first time I've seen Wealthy Theatre do something like this and it didnt bother me at all. Anyway, as you can see - I took much more photos today to make up for yesterday! No...this is not about a singing crab and a mermaid.It's about me having forgotten to take a photo for the day. 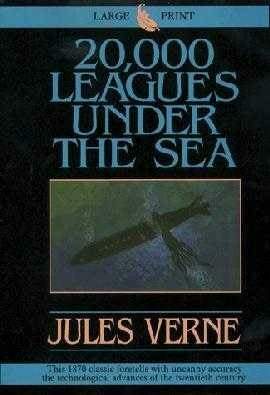 So here's a cover of an older edition of 20,000 Leagues Under the Sea by Verne I've been reading on the Kindle. It's been slow going but finally about 8 chapters in (they're very short chapters) it's getting interesting. I'm looking forward to reading more of it. Especially since I'm really not all that familiar with this story, having never read it and never watched any of the movies. So that was on my mind Monday (outside of work, and class). 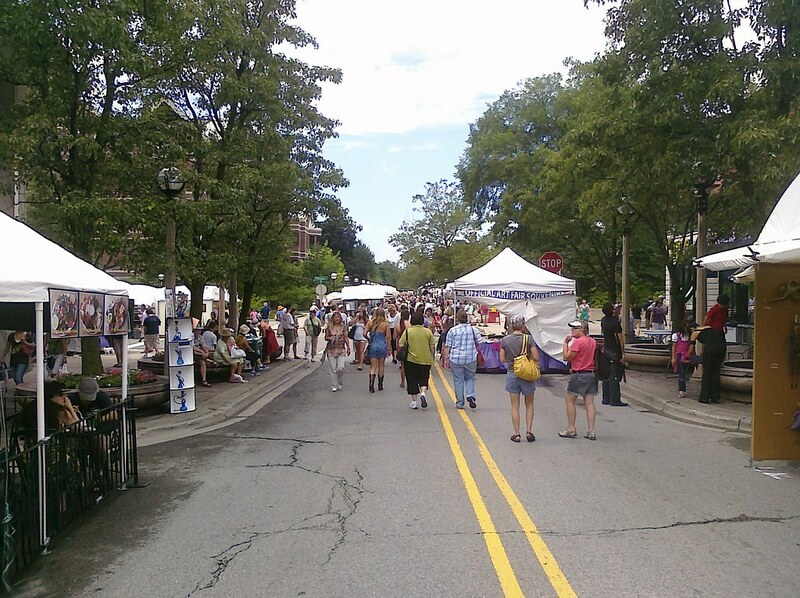 Today marks the last day for the annual Ann Arbor Street Art Fair. It's a huge art fair, larger than any one I'd been to growing up. And there were an amazing number of people when we first arrived, despite the rain. Of course with rain and heat comes humidity, and today was no exception. The humidity was really high, as was the temperature (90ish). So we wandered around for a few yours, being sure to hit Vault of Midnight, which is a comic shop Chris used to frequent when was in town. We even stopped in at Wizzywig, which had moved from downtown Ann Arbor and is apparently much smaller (and very disappointing). 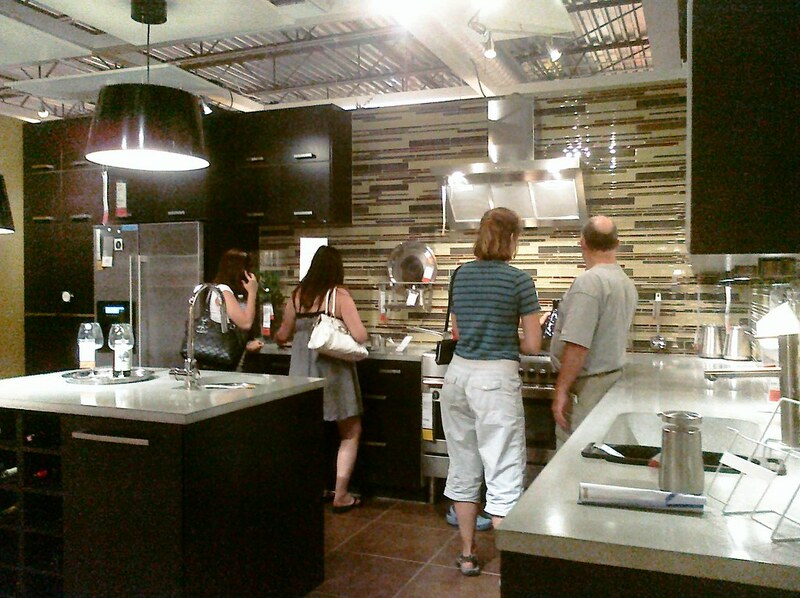 Next was IKEA. I'm not sure when it was built, but it's not that old of a location in Canton. And I know lots of people who it's a big deal to. 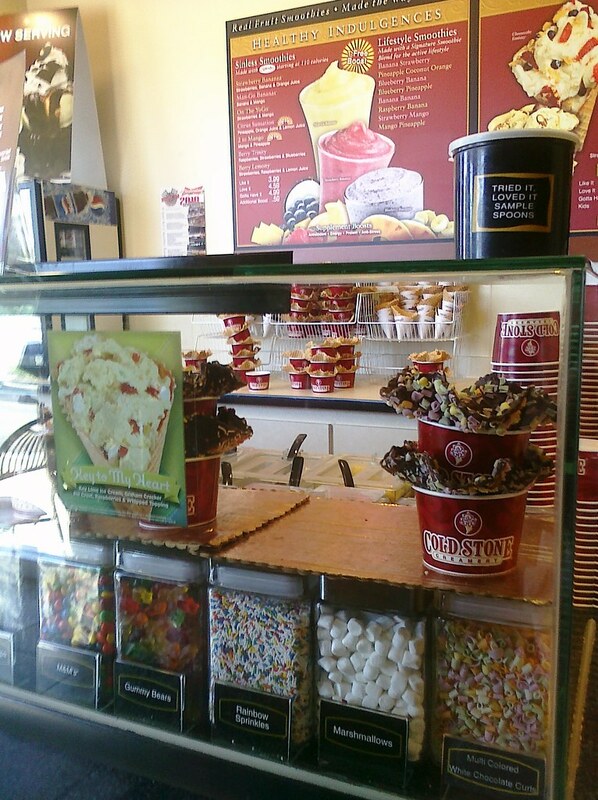 So Chris took me over there so I could get a taste. It feels very Disneyworld but with none of the awesome rides. I can definitely see the appeal though. Entire rooms laid out and all you have to do is write down the numbers and grab everything down below. No real hassle of figuring out how to decorate and coordinate things. After IKEA Chris took me to his old stomping grounds, and showed me his old neighborhoods and favorite hangouts. A while back Woot! 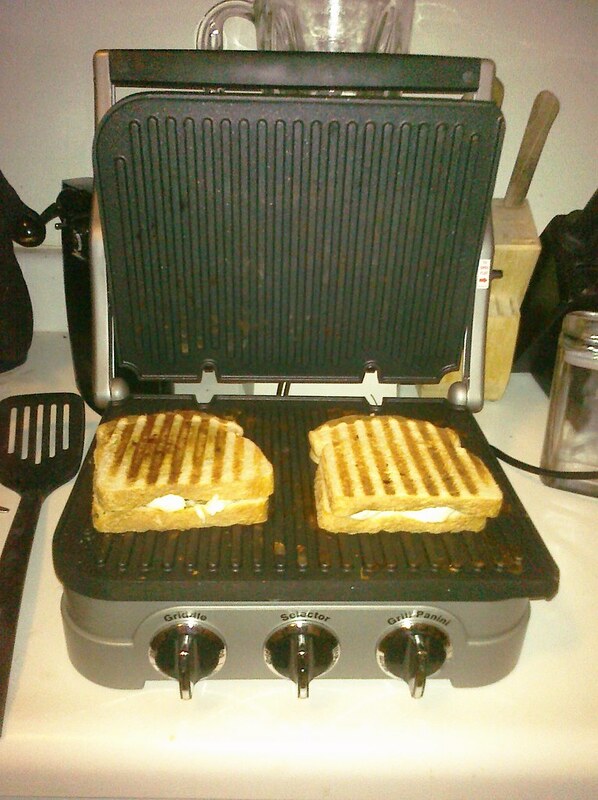 had a nice deal on Cuisinart panini grills. This thing does more than I need (it's a panini press, grill, and griddle) but for $40 bucks I'll take it all just to get the panini grill. It arrived yesterday and I looked it over but waited till today to give it a serious go. 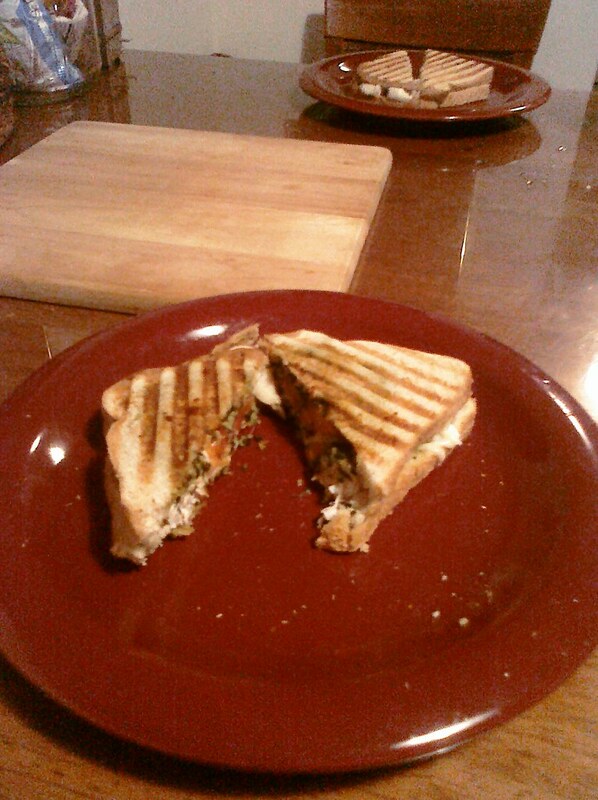 Since we had some chicken that needed cooking I decided to try a chicken pesto panini for me and a chicken and cheese panini for Chris. Since it's a grill as well I used it to make grilled chicken. 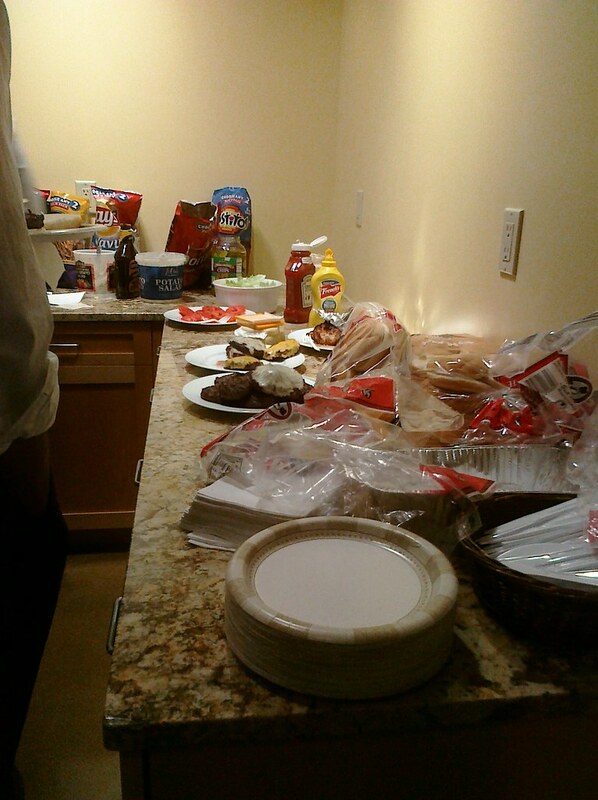 Those got done pretty quickly so I cleaned off the plates and got the sandwiches ready. The sandwiches were tasty, though I've been condtioned to receive potato chips with paninis for some reason, so I felt like something was missing. I'm excited to try my hand at making tasty tomato and mozzarella paninis, which Panera sells and I love. I had lunch today with an old co-worker from a temp job we both worked last year. It was good to catch up with her and the food was tasty. She works downtown as well, which is pretty convenient for mid-week lunch meet-ups! 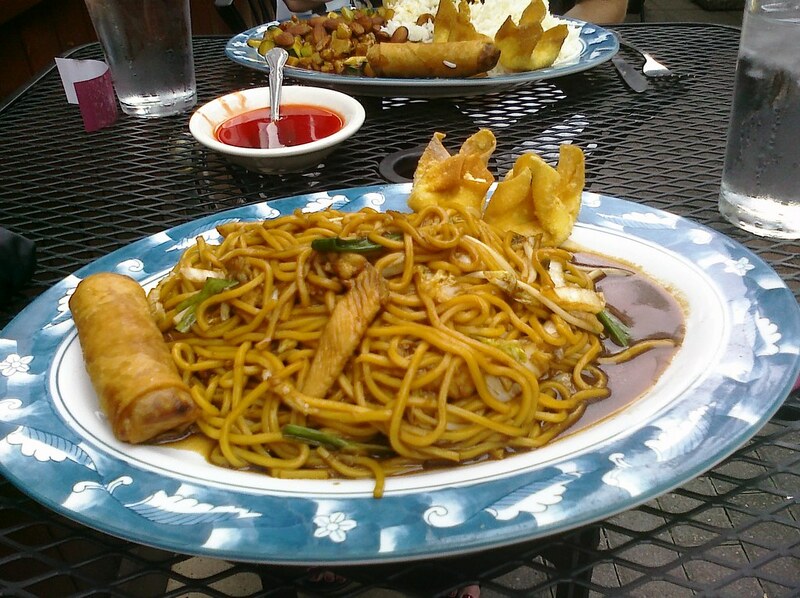 As you can see, lunch was massive. The room where my Wednesday class is normally held had some maintenance that needed to be done. 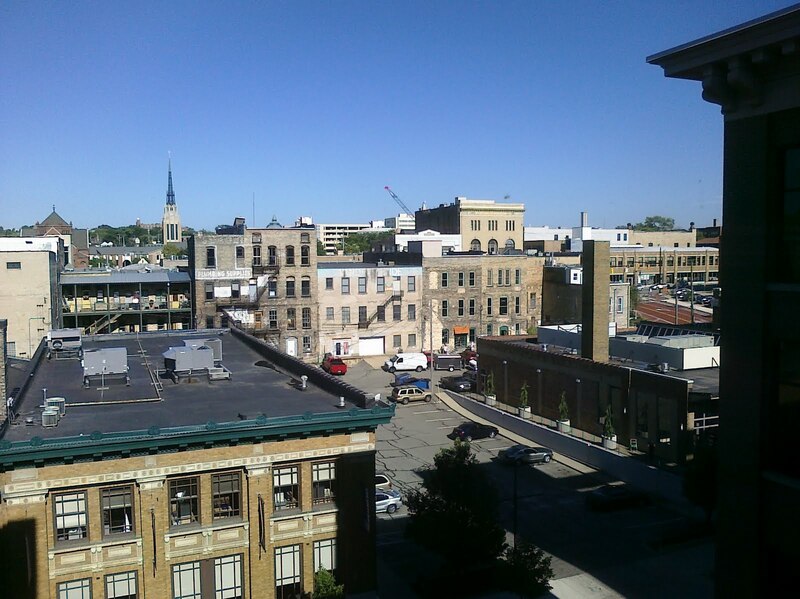 So we all piled up on the top floor of the building (5th, to be exact). I swear the room was even colder than the one we normally sit in...but the view outside was nice because it was slightly different. Chris made some tasty pot roast in the crock pot late on Monday night so it was time to dig in Tuesday night. I've never been a huge fan of pot roast, but lately it's growing on me. It might be the lack of onions used or it might just be me changing my mind. Either way, dinner was great! Plus, with dinner already made that meant more time for reading and gaming! I'm really enjoying the Kindle. Much more than I had originally thought. I hardly even notice that it's not paper - and manga looks much better than I thought it would on it! So since class got out a little early I decided to enjoy a little bit more of my book and wait outside for Chris. I haven't charged the device since July 11th and it's still has 3/4 of the battery life left. I try to read at least a few hours a day and the device spends several hours in standby as well. Of course, the wireless is turned off, which helps to save the battery. It's still a nifty device and I'm still enamored with it. We saw Inception today. It was interesting. It had nice visuals. It had nice ideas. And it appears to be the love child of a few different movies. Chris says it's like Matrix and Ocean's 11 combined...but to me it's got a little bit of What Dreams May Come to it (and not just because of the visuals per se). 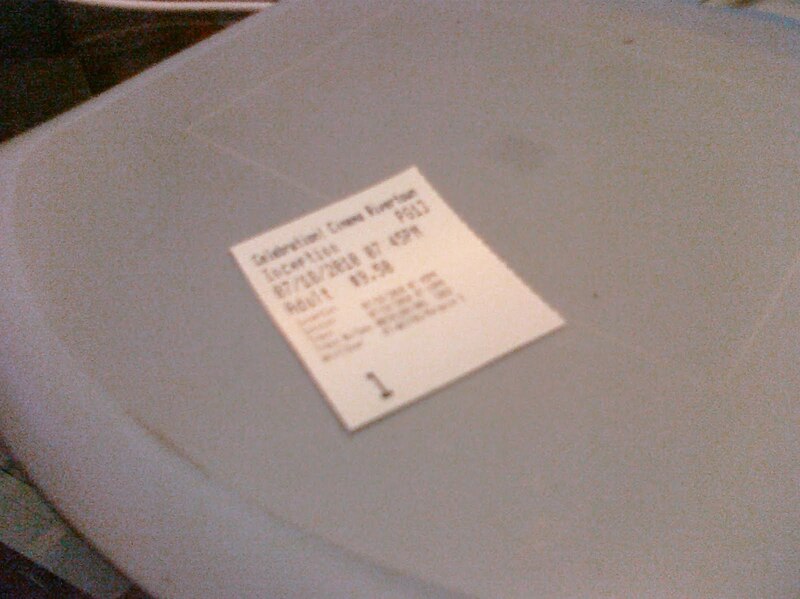 It was an alright movie and I didn't notice the 2.5 hours (though Chris did) but I wouldn't say it was fantastic. Better than a lot that have been out lately though. Chris's friend Jeff is a huge zombie fan. Huge. 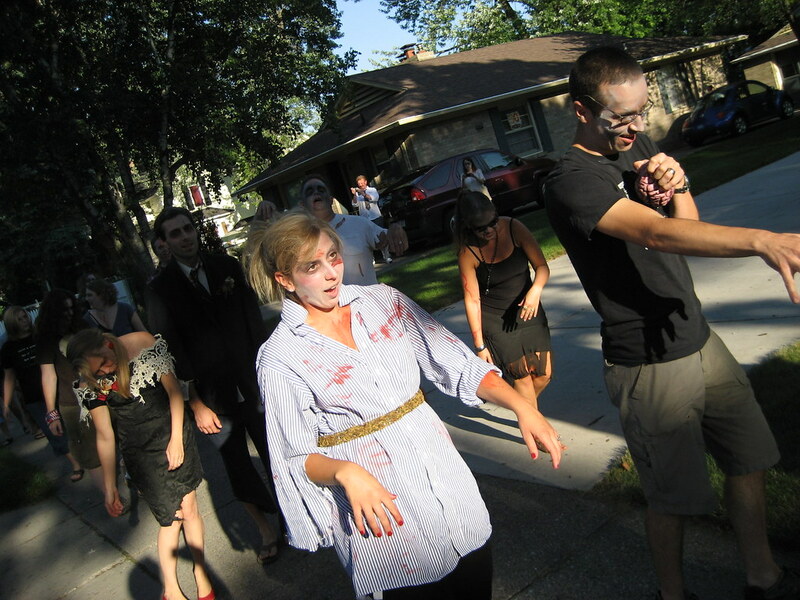 So what better way to celebrate his 30th birthday than with a surprise zombie attack? 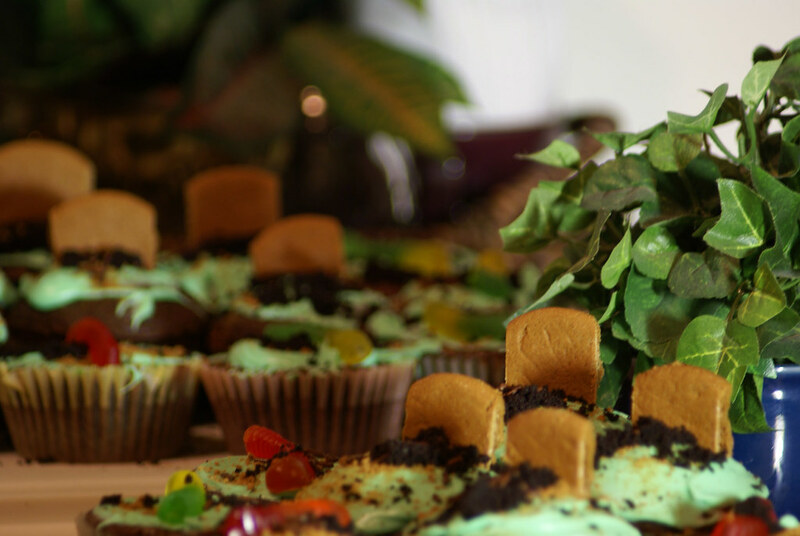 In preparation, we baked some cupcakes and Chris decorated them fantastically, complete with two-toned dirt. We got some old clothes and zombified them then did makeup and headed over to Jeff and Stephanie's. The plan of action was a simple one. Jeff would come home with some friends. They would immediately be attacked by a lone zombie in the yard. Jeff would then have to progress through the house, collecting med kits and ammo cases planted throughout, eventually ending up in the basement where the party was. So Chris and I hid in the shower, ready to attack. After Jeff had made his way through the house someone jokingly suggested we take a stroll down the street - so the entire horde did just that. Stephanie and Mark put a lot of thought into the gameplan and did a great job setting up for it - complete with nerf guns, a hatchet, and a baseball bat. It was very well done. There are a bunch more photos on flickr and Chris has some pretty good video of the whole event that you should check out! I spent the afternoon at home today. A little before noon I got sick at work and decided better of trying to work through the rest of the day. So I grabbed my work laptop and some files and headed home. 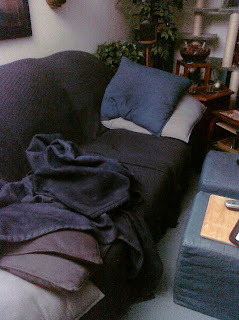 I did some work remote, and some lying on the couch. I finally felt better in the evening, though I still had a headache. I have a sneaking suspicion that some old strawberries I ate this morning may have something to do with how I felt. After work we headed out for a vet appointment for Peppy. She has a growth on one of her back feet and has been showing signs of hair loss. If you know anything about ferrets – that’s usually the first sign of adrenal gland disease. She came back with a clean bill of health on the growth and orders to watch to see if she continues to loose hair or if it’s seasonal hair loss. She had a pretty good time, indifferent to handling by strangers. 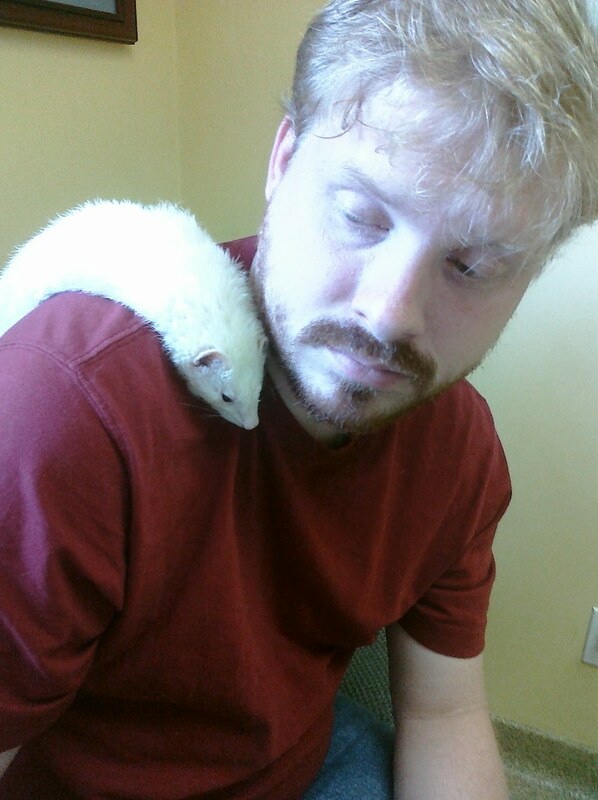 She’s a big lover of Chris, so they got to spend extra time cuddling while we waited for the vet. At one point she just decided to lay and relax on his shoulder. It's been awhile since I've been able to log into Lord of the Rings Online and actually play the game. More often than not I'm logged in but AFK. So today I was finally able to log in and enjoy the Summer Festival, which ends later this month. Not terribly exciting for some - I know - but I love video games and the LOTRO community is absolutely AMAZING. So if ever you're interested in playing - drop me a line! Remember, it goes free to play this fall! So I've been at my new job for just under a month and I'm already on my second free lunch. I'm not complaining - not at all. Saves me from having to pack a lunch AND they've been tasty lunches! We had a company-wide meeting and then the grill was fired up out back for some tasty hamburgers and BBQ chicken! 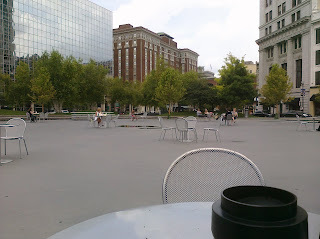 Normally I chill in the outskirts of Rosa Park Circle because the sun beats down and bakes everyone who uses these table setups. This afternoon, however, that was not the case. 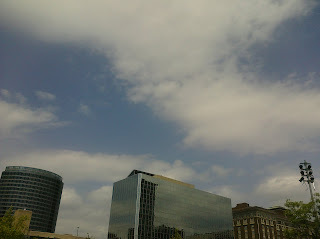 It was slightly overcast and the weather had threat of possible rain later in the afternoon, so sitting in at a table was possible and enjoyable. There were some people on lunch in the area, but not as many as you can find on a sunny day. 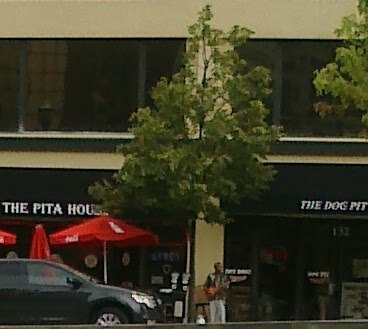 One staple I've found is a guy jamming away with his guitar and an amp between the Pita House and the Dog Pit (on Pearl St I believe). He's there everytime I show up, which is a little past noon, and jams for 20-30 minutes until taking a break. Sunday evening Chris introduced me to the Macross movie, which is an older anime film that doesn't make a whole lot of sense if you're not familiar with the plot in the 80's tv show Robotech (or Macross, I think...). 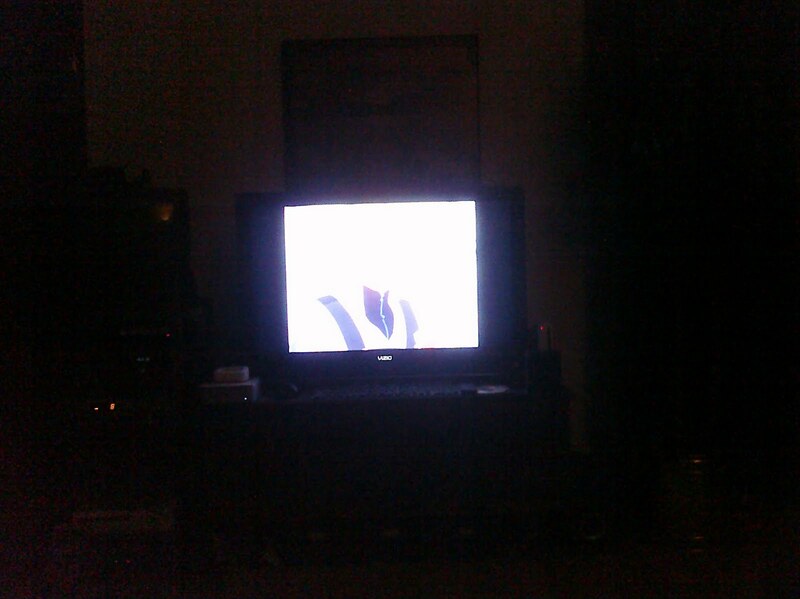 Lucky for me Chris owns Robotech on DVD. I'm not going to lie - I've avoided Macross and Robotech, and well any mecha anime I've run across. I liked RahXephon but never got into Gundam and was not terribly fond of Neon Genesis Evangelion. So wouldn't you know it - I actually want to watch more. Now it appears there were some changes made when Macross made it's way across the ocean to the U.S. shores. Not really a big surprise there. So here's a breakdown (if you're interested) on what Robotech is and how it relates to Macross, and vise versa. At some point I'll probably want to watch even the movies. For now though, this is an interesting enough show and it's really helped fill in the gaps (already) I've had going to some anime cons in the past. 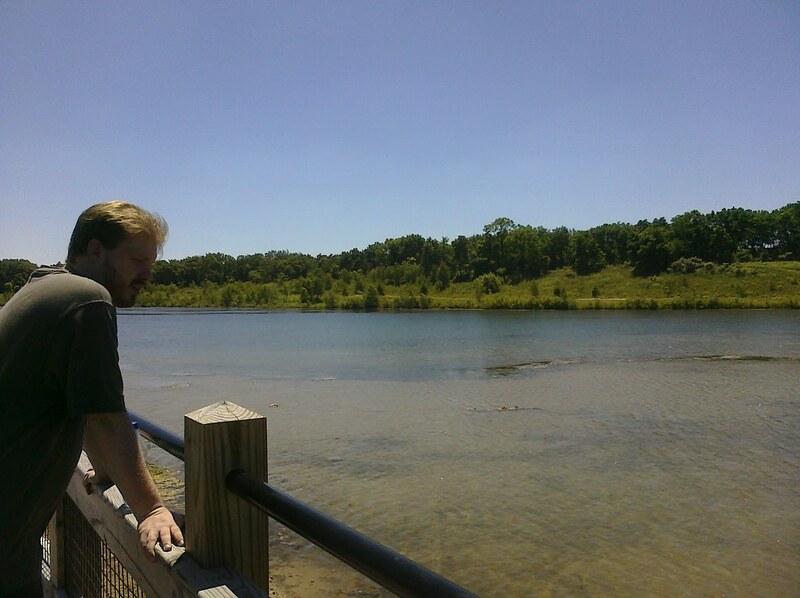 After lunch we headed out to Palmer Park to enjoy the sounds of the small stream and take in some nature. It was warm out, but under the shade of a tree it wasn't too bad. We read for awhile then took a stroll down a few paths at Palmer Park. The pine tree area and the boardwalk were both nice - although both had mosquitoes out searching for tasty humans. 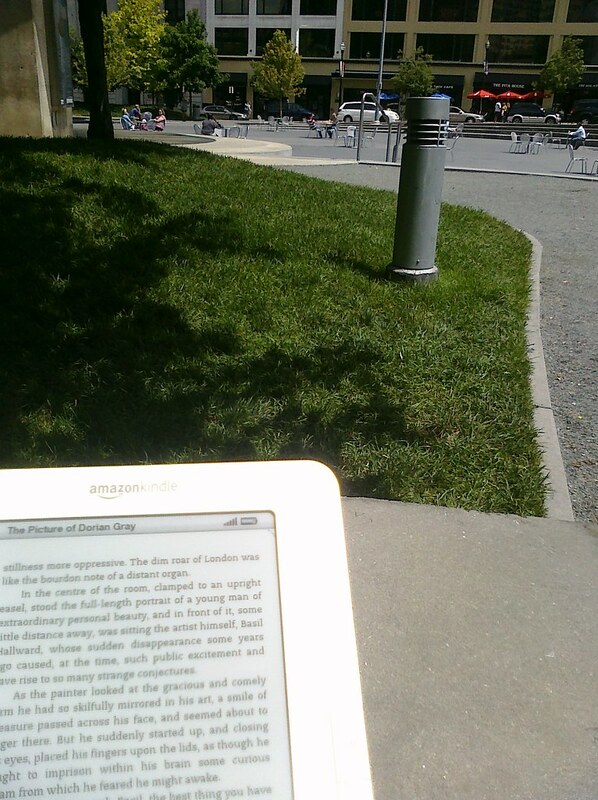 The real test with the Kindle is using it outside in the sunlight. The tablet, thought I love it dearly, cannot be out and about on a sunny day unless you're in a very shady area with the brightness up to 100%. Otherwise the image is washed out and you strain to read any comics or other items you may have on it. 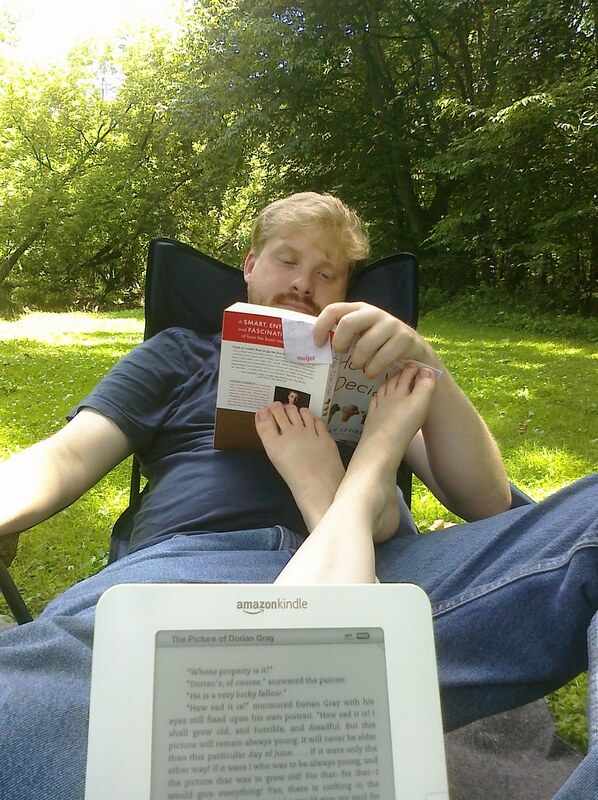 So it was a joy and a delight to see there was no issue with the Kindle in the sun. Yes, I'd read that it was supposed to be fine in the sun, but after hearing complaints about the iPad, which claimed similar things, I wanted to be sure. Its a neat little device that is lightweight, thin, and easy to use with one hand - which is usually how I'd read a paperback. So far, I'm enjoying it. And, with a plethora of free classics to download from google books and Amazon.com's own website, I can finally start attacking books I'd been putting off for years. Last week Woot! 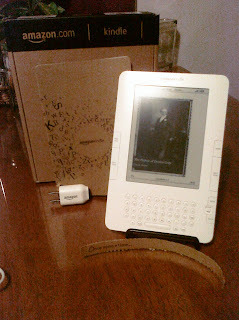 had a pretty good deal on the Kindle 2. While I was waiting for eInk devices to drop to really low, $40 bucks off the regular price was something I couldn't pass up. So I've spent the evening with the Kindle and I like it. 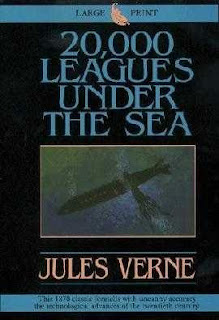 Amazon has a nice selection of free books, as do google books and other sites. The screen is crisp, the eInk refresh is fast and barely noticeable. It is much better looking than the touch Sony device I had looked at earlier this year. Though admittedly the touch screen film is supposed to dull the text sharpness slightly. 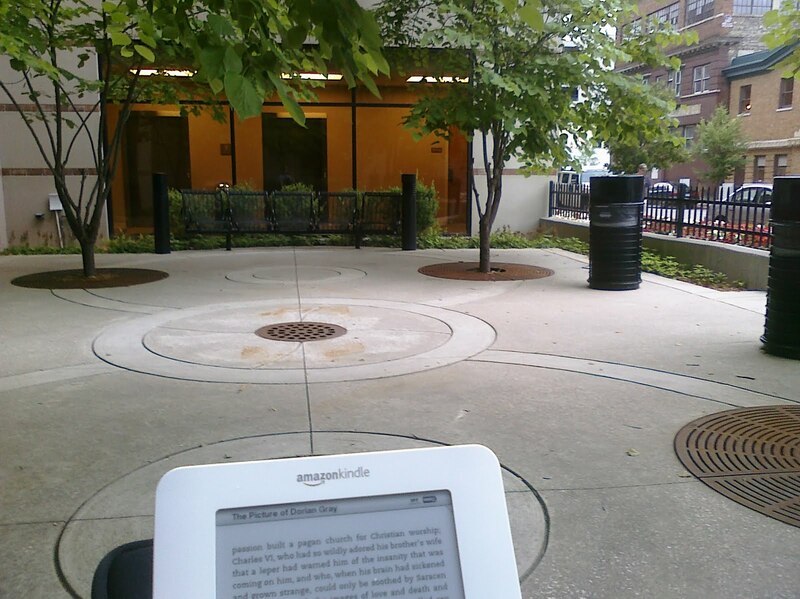 I look forward to enjoying lots of books on the Kindle, which, by the way, will sync current page locations with the Kindle app I have on my tablet, should I ever need to read in the dark! 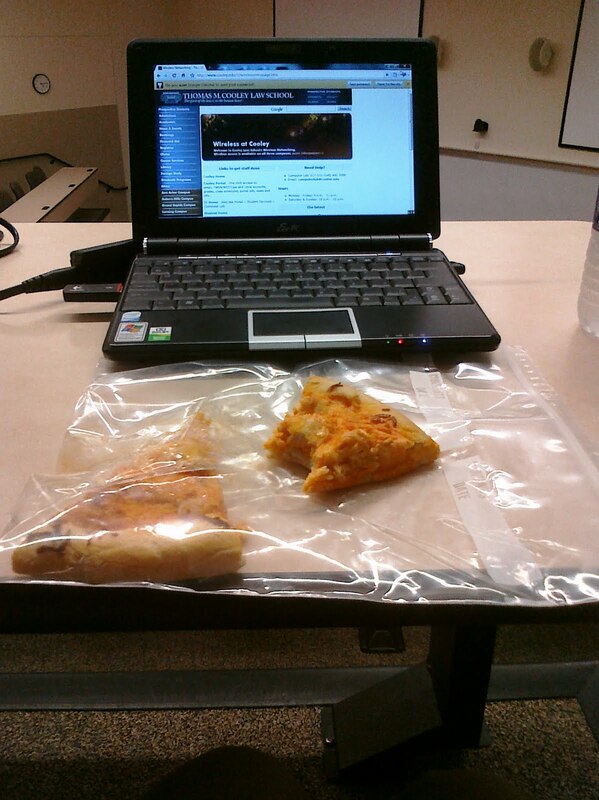 Another Wednesday, another day scarfing down dinner between work and class. It's a whole hour in between, so I guess "scarfing" isn't exactly accurate, but you get the idea. At least I have tasty buffalo chicken pizza to keep me company. And for the record, the netbook still triple-boots! 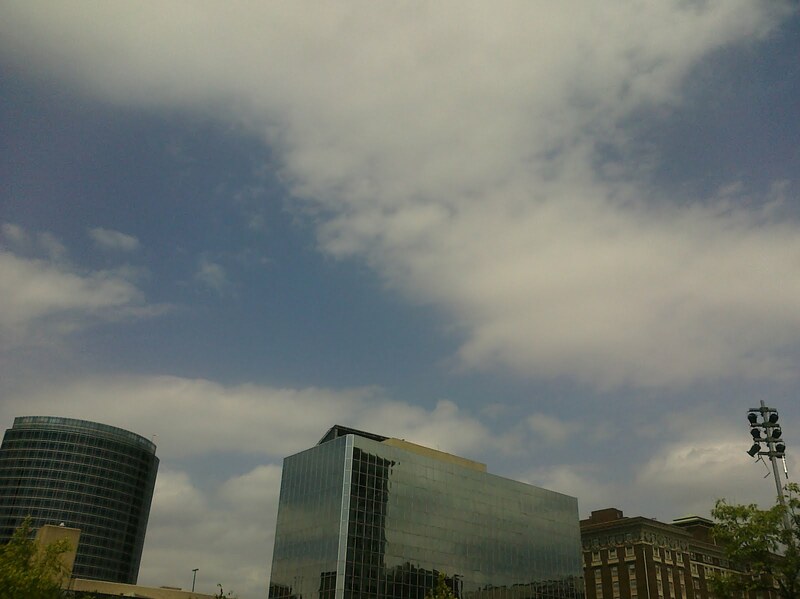 The work week has started and I'm back to enjoying the outdoors in downtown Grand Rapids. 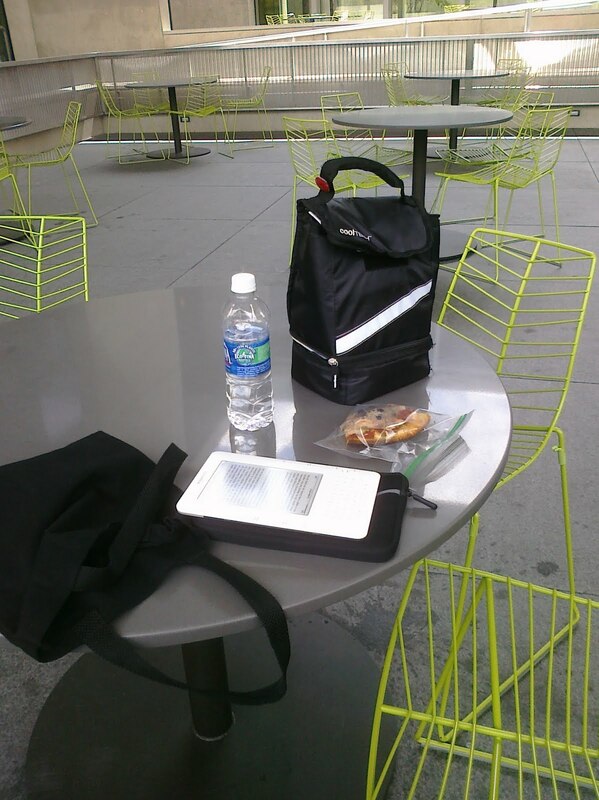 Today was much warmer than lunches last week and thankfully I was able to find shade to enjoy lunch and reading. Instead of the cooking or baking I tend to do on Sundays, the holiday weekend pushed these activities into Monday. 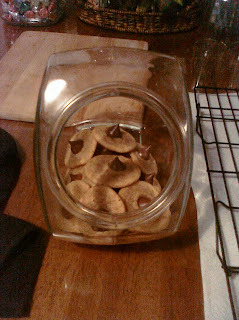 I made some peanut butter kiss cookies, and two home-made pizzas - one for each of us to satisfy our different topping choices. A good, full of various chores, but still relaxing. 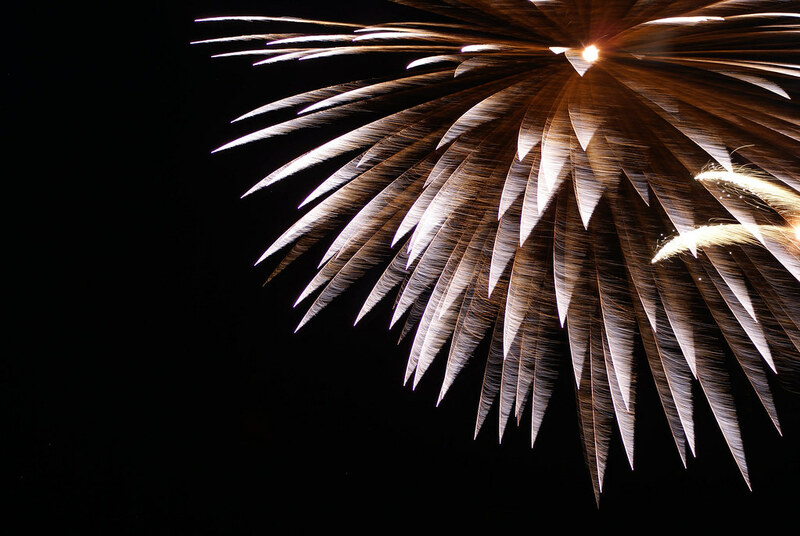 For the 4th of July we headed over to Grand Haven in the evening for their fireworks show. The first order on the agenda after the sun had set was a 4th of July edition of the musical fountain Grand Haven has. An interesting and odd experience. 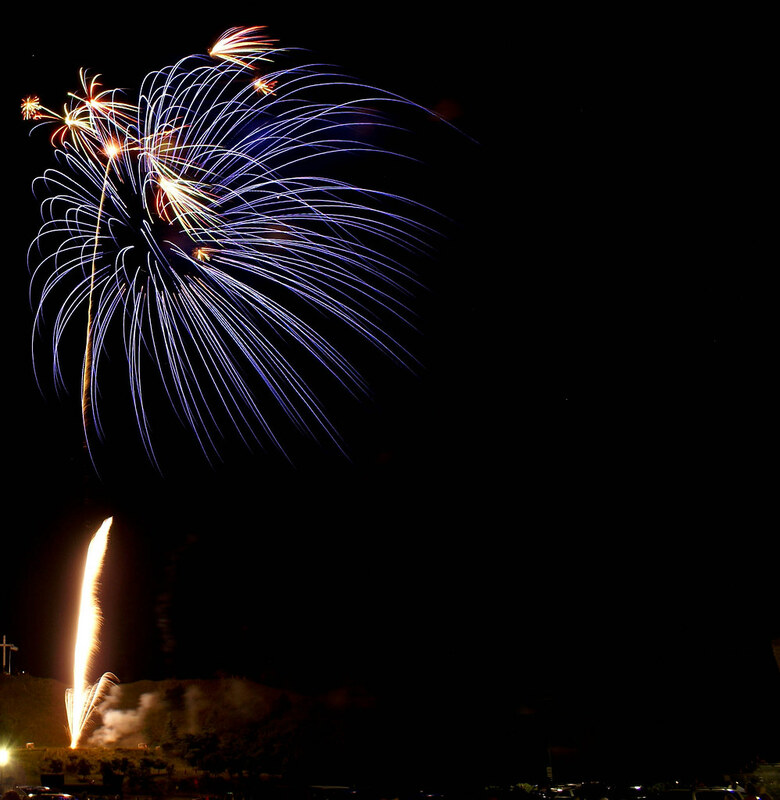 I brought the tripod and SLR along to attempt some fireworks photography. 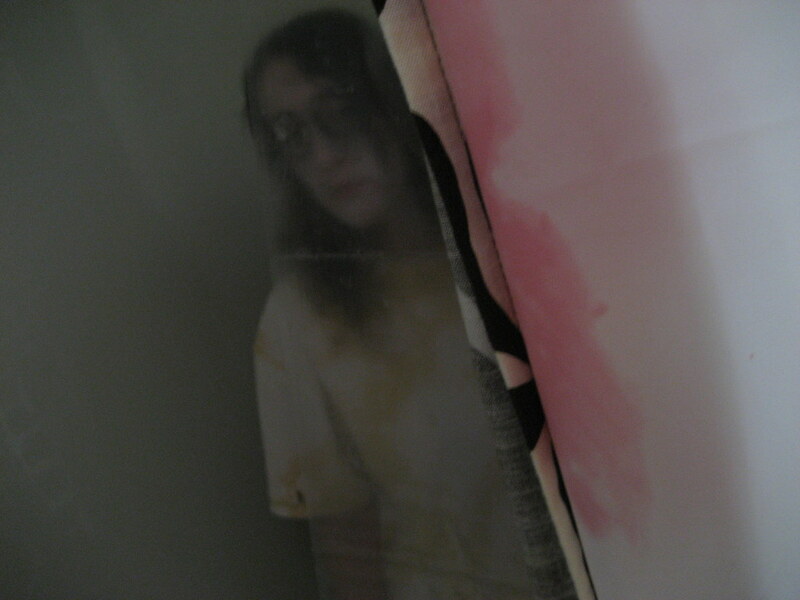 For a first attempt it wasn't bad, but admittedly a lot of them are out of focus. I thought I'd had the camera manually set to a good focal point but I think it was a combination of leaving the shutter open too long and not being properly focused to "infinity." Still, a few shots came out interesting and odd (as you can see here) and I've placed them up on my flickr page, here, if you're interested. 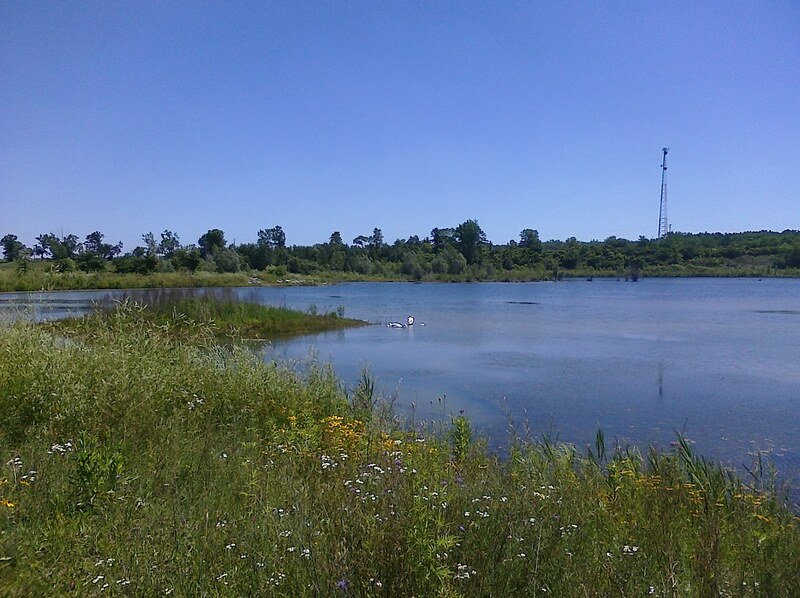 Since today marks the start of a 4-day weekend (in which I'm determined to be lazy at some point) I decided to take advantage and do some bike riding before it got too hot. I rode down to M6, which isn't too far but it was a nice ride down to the freeway and back. At 10am on a Friday there weren't a whole lot of people on the path like there are on the weekend, but there were still a fair amount of bikers and rollerbladers. 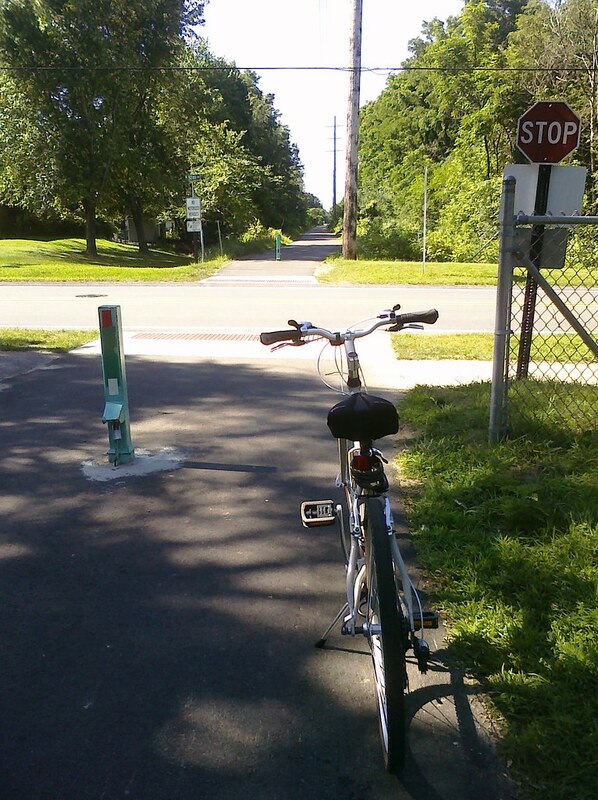 Down near M6 the trail splits and you can take one along the freeway, though I've yet to do this. In the evening we headed out to see Toy Story 3 at the only Star Theatre in Grand Rapids. I was a little disappointed with the state of the theatre. It was more run down than I remember some of the ones on the east side being. It is one of the older styles, like the one on John R, and that probably has some to do with it. 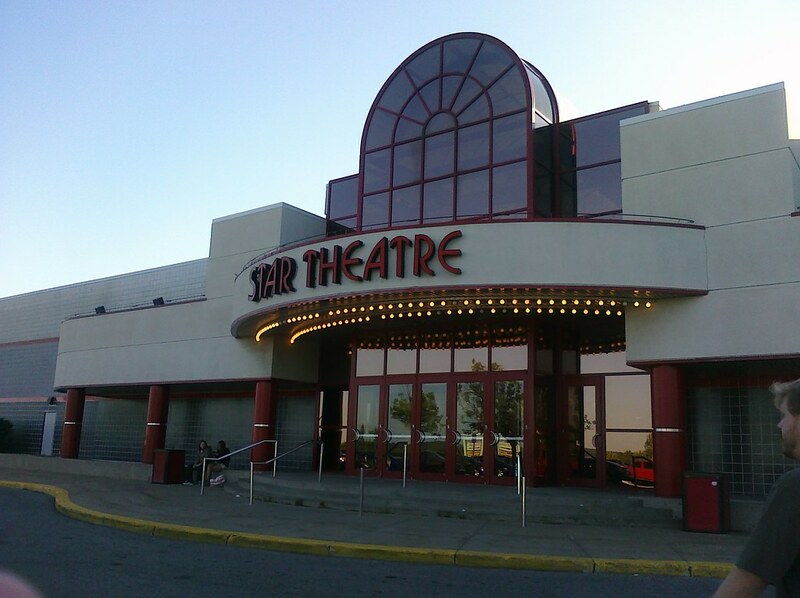 Still...it made me a little sad since the Star Theatre chain was my favorite over in metro Detroit.